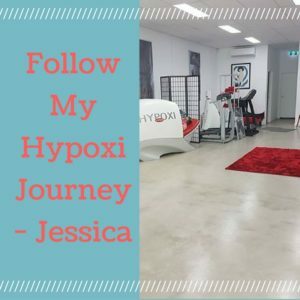 I’m Jessica, and I am inviting you to follow me on my Hypoxi Journey. My goal for this journey is to lose some weight, and to tone my body and reduce visible cellulite. I currently weight 77kg and I am 1.63cm tall – so I am defined as overweight. I feel I eat a normal diet – I do indulge often, but do try for the healthier options as often as I can. But I could probably do better! My first session at Hypoxi was on Saturday – and I was nervous as this wasn’t a type of exercise I had ever encountered – I had tried gyms but I felt self-conscious and lacked the motivation to go, as no one was pushing me to be there. So I was pleasantly surprised when my first session only went for an hour, and 30 minutes of that was spent lying down and watching TV! I started in the Vacunaut, or affectionately known as “the suit” – it was a weird sensation of all the little cups pressing and releasing against my body took some getting used too – but I lay watching the Opening Ceremony of the Olympics and slowly drifted off to sleep! Best exercise ever!? Then it was on to the S120 – riding a bike whilst wearing a suction skirt! This was easy and enjoyable! Again, you slowly pedal your cellulite away whilst watching the Olympics! Or you could do homework, read a book, grade reports, etc. You could literally do anything you want whilst doing this exercise, so there is no excuse for not having time! I aim to have 3 sessions a week – 2 with just the S120 or L250, and then one session on the weekend with the suit. Let the healthy lifestyle begin and the slim body emerge!